Hardback, eBook, and rentals available from CRC Press and Amazon. 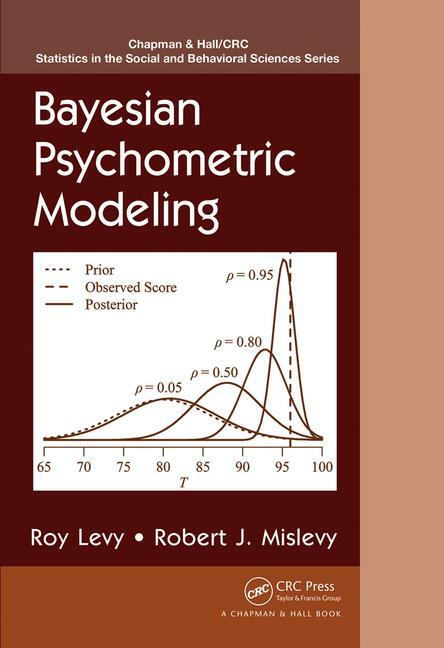 The book describes Bayesian approaches to psychometric modeling. 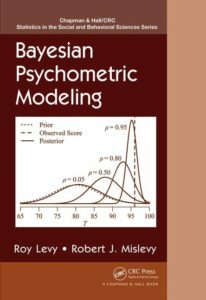 Part I sets the stage by giving an overview of the role of psychometric models in assessment and reviews fundamental aspects of Bayesian statistical modeling. Part II pivots to focus on psychometrics, treating Bayesian approaches to classical test theory, factor analysis, item response theory, latent class analysis, and Bayesian networks. This website serves as a companion to the book, and includes datasets and code used in the examples.